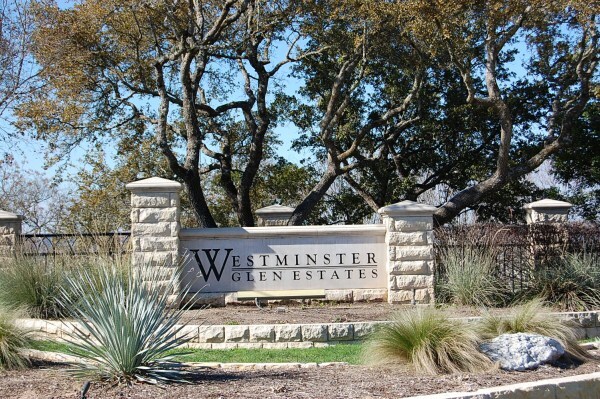 Westminster Glen is an exclusive luxury home neighborhood located off of RR 2222 heading west of Austin,TX. Homes are on 1 - 2 acre estate home sites, and are fairly close to schools, shopping, and restaurants. There are app. 100 homes in this tight knit community. It is nestled in the heart of the hill country with beautiful views, as well as being 5 minutes from Lake Travis, Lake Austin, and Lakeway. Commute times into Austin, Lakeway, Cedar Park, and Westlake Hills are fairly short. Shopping at "Lakeline Mall", the new "Hill Country Galleria" in Bee Cave, and the new "Shops at Steiner Ranch" are all within a 15 minutes drive. The new "Whole Foods" market at the "Hill Country Galleria", and the new Randall's at the "Shops at Steiner Ranch" are a big plus now for grocery shopping. 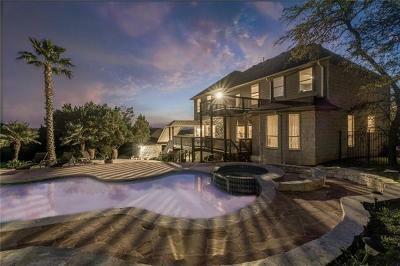 Homes for sale in Westminster Glen typically run from the $600's - $1,800,000. River Place elementary, Four Points and Canyon Ridge middle, and Vandegrift high school .